@9! Yes, that is indeed the name of the restaurant at The Fern. 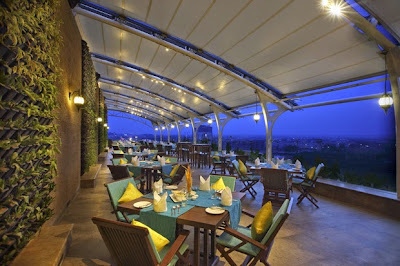 @9 is a perfect place for dining with your friends and family. 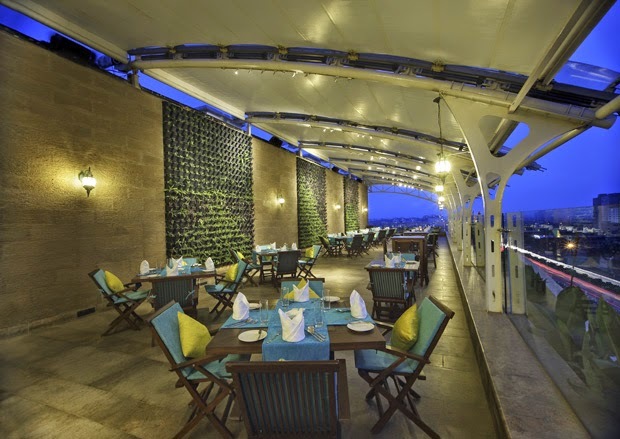 The Fern, Ahmedabad offers various dining options, by serving cuisines from around the world. Talking about the view from hotel is just amazing and beautiful - an overview of Ahmedabad's skyline over the open highway. The contemporary interiors are adorned with a wall full of plantations. The color palette includes balmy hues of blue and wooden brown. The tables are elegantly set with soft sprays of water coming down on you. With a retractable roofing overhead, @9 tends to be an ideal restaurant for you to catch a break with your near and dear ones. The hotel is very good option for a date. 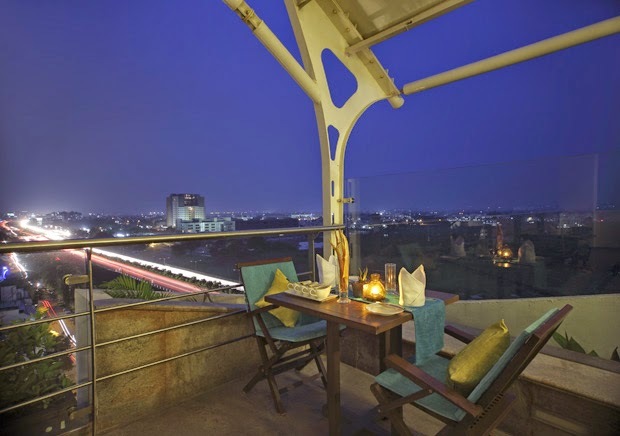 So........Indulge in exquisitely prepared cuisine in an elegant, relaxing atmosphere in Ahmedabad’s @9 restaurant.